It’s been nearly a year since I installed front and rear Eaton Harrop ELockers. 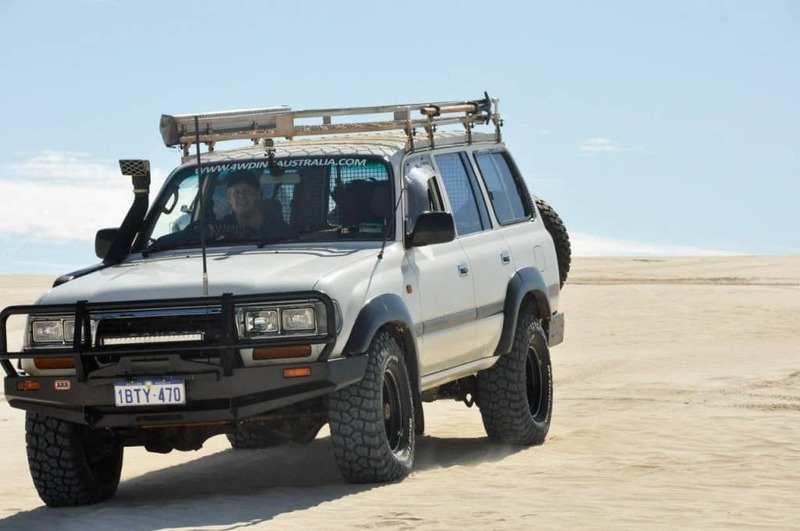 Without a doubt, they have become my favourite 4WD modification. If you’ve seen my 80 series, you would know it’s had a lot of work done to it, but the ELockers truly put a grin on my face every time I flick the switches. If you want to know more about the ELockers, you can read the post I originally wrote here – Eaton Harrop ELockers. To summarise though, I removed the differentials, and had a diff and gearbox shop in Perth install the lockers inside the diffs. With the help of a mate, we reinstalled the differentials and completed the wiring. It wasn’t a small job, but it all went smoothly. Since installing them, I’ve flicked them on at every obstacle that I thought the 80 might have a hard time getting over, and every time the extra traction is truly incredible. The Elockers have transformed our 80 into a tough tourer, and it makes more difficult tracks a pleasure. I’m pretty conservative when it comes to 4WD obstacles. If I think it’s going to damage my vehicle, or there is a high chance of something going wrong, I’ll usually take the easy track. There’s no better way to ruin your day out in the 4WD than by putting a thumper dent in your panels! 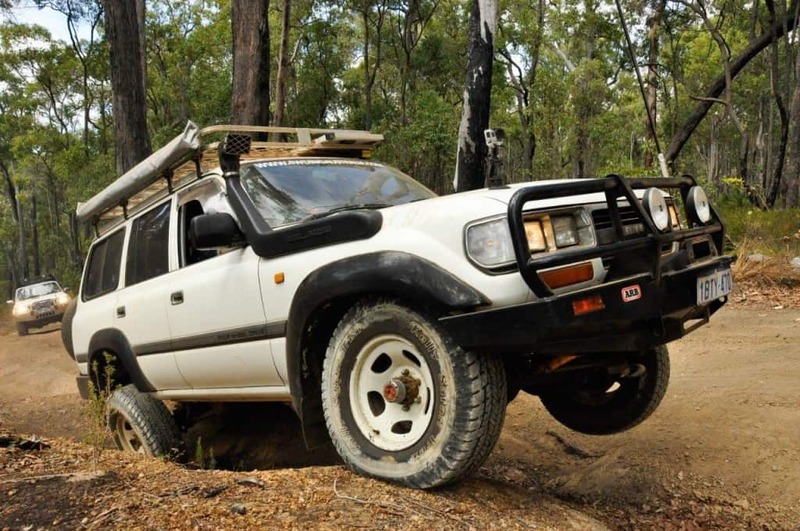 Over the years I’ve become fairly familiar with what my 4WD will do without lockers, and if I think it may have a hard time then I’ll flick the magic switches and immediately feel more comfortable about tackling the next obstacle. ELockers give you maximum traction. 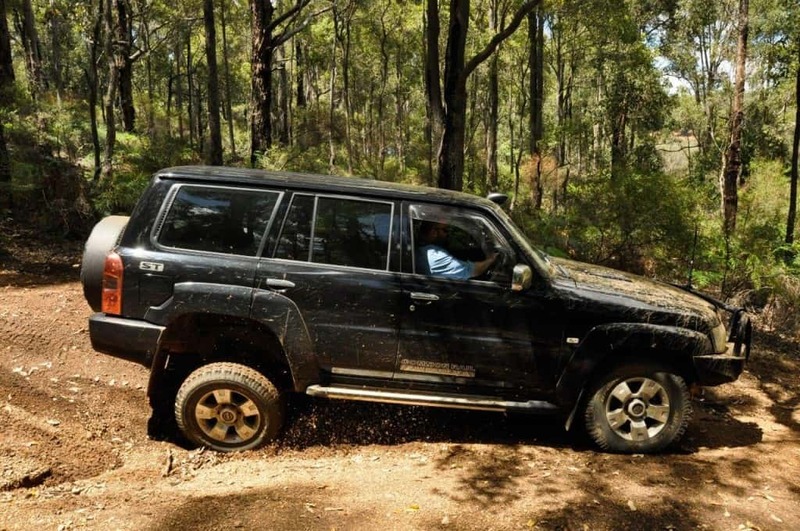 You will notice though, the more flex your 4WD has, the more often your wheels stay in contact with the ground. To improve your suspensions flex, the most common method is to install a lift kit that has been designed to allow the wheels to lift and drop more than the 4WD would from its original design. I’ve been on plenty of 4WD tracks where vehicles with a stack of flex have clawed their way up without too much of an issue, but if you tried it in the same vehicle without the flex, you wouldn’t make it past the first offset rut. Having ELockers means that I don’t need to lift the 80 series. It is extremely important to me to ensure that the 4WD I drive is within the local road regulations. 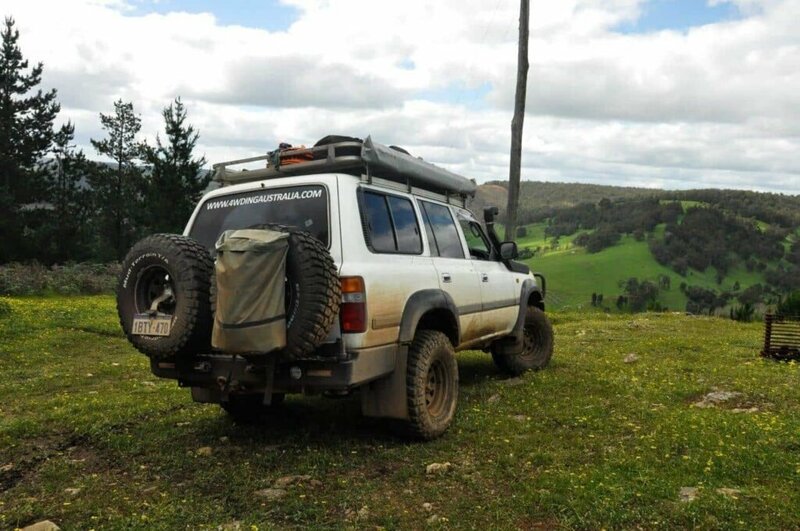 The implications of having an illegal vehicle are severe; you can read more about this at a post I wrote – Is your 4WD legal? 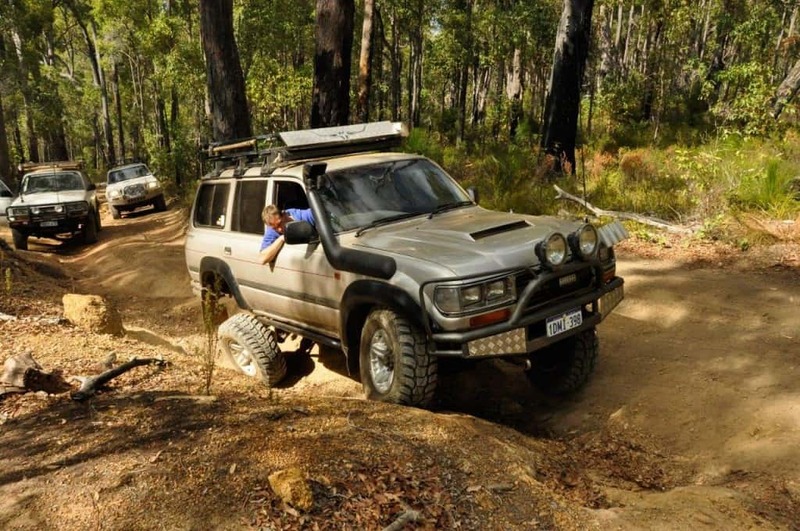 As it stands, the 80 series has slightly larger tyres, and no lift kit installed. The tyres don’t scrub (I’ve managed to the rear once on a nasty descent), and I get to keep the low centre of gravity, quality handling and money in my pocket that would have been spent on an aftermarket suspension package. It’s interesting to go to 4WD Tracks and see how people treat their 4WD’s. Some are not prepared to put a tiny scratch on their vehicle and refuse to rev their 4WD past 2000 RPM to get over an obstacle. Then you get others, who are bouncing on the rev limiter the whole way up, with wheels in the air and mud flying in every direction possible. 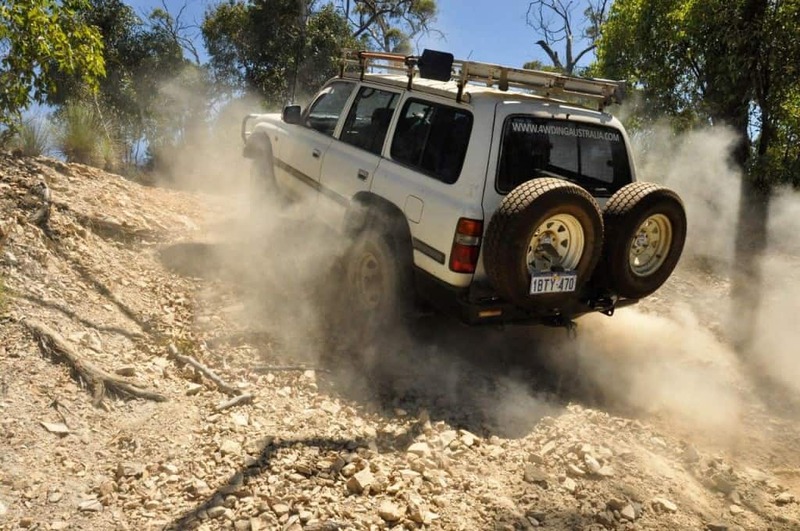 This is one of 12 ways to wear your 4WD out faster. 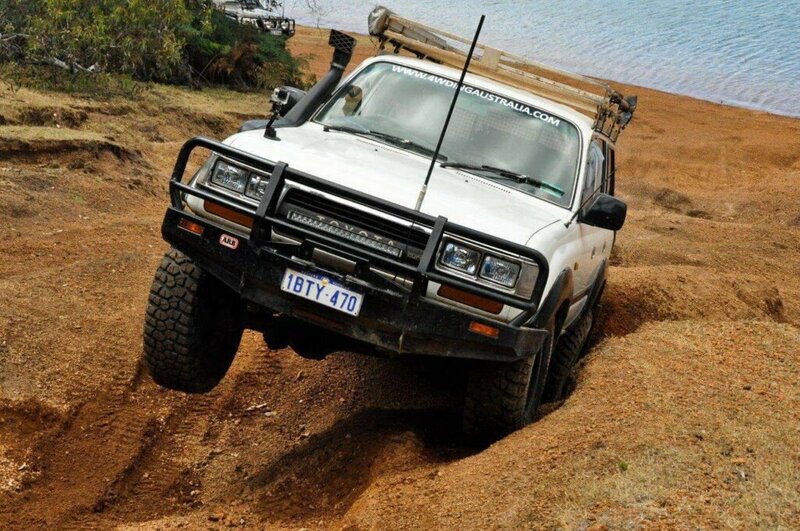 Whilst the latter technique often works (and looks spectacular in the process), it’s the easiest way to break something on your 4WD. If you lift a wheel up in the air and it spins quickly (which it will do without lockers) when it comes back down to earth your chances of something breaking are hugely increased. I’ve never been a fan of flogging my 4WD to get up something. I will start off slow and give it a whirl, and if it fails, I will do it a bit quicker, and continue to work my way upwards. The beauty of the ELockers is that I don’t have to flog my vehicle. Unless it’s very slippery, I can usually idle through most obstacles with the lockers on. If it is slippery, I know with a bit of acceleration I am giving it the best that the 80 is going to give. There’s nothing worse than spending a bucket load of hard earned cash on something to find that it doesn’t work the way it should, or that it gives you grief down the track. The Eaton Harrop ELockers come from two companies that are highly reputable, and they just work. You can flick the switches, and know immediately that you have instant traction. They are such a simple design that there really isn’t much to go wrong. Have a look around, and you will find plenty of happy customers running the ELockers. You can’t ask for more than that! Wheel spin is the easiest way to wreck a 4WD Track. Whilst it might look good in your photos, ripping up 4WD Tracks is not on my list of priorities. As I mentioned above, I’d rather idle up something with the lockers on than bounce my 4WD up the hill climb with wheels spinning at a million miles an hour. We have some of the best places in the world to go 4WDing, and we have a huge responsibility to make sure it is being done without damaging the areas. 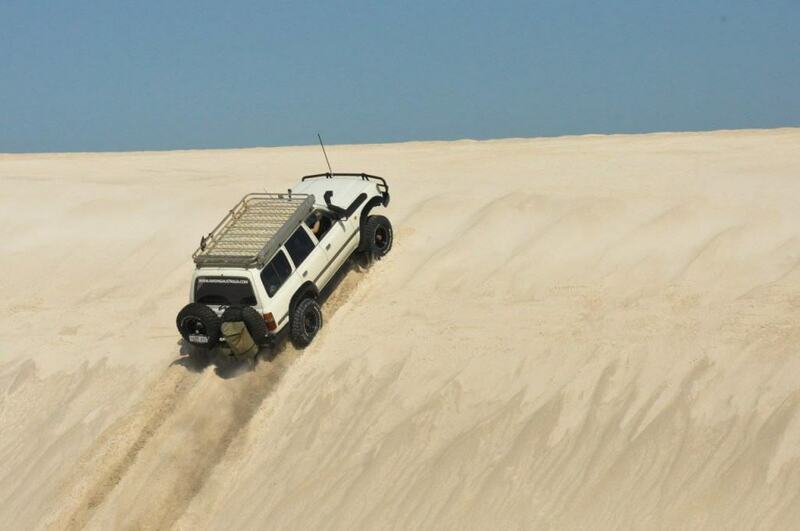 Lockers reduce wheel spin, and help to preserve the fantastic 4WD Tracks that we all know of. Some lockers are designed to auto activate. When they detect wheel spin across a differential, they automatically lock the axles together, giving you the extra traction. The problem though, is sometimes they engage when you don’t want them to. For example, when driving quickly on gravel roads, or on bitumen roads you really don’t want your differentials locked. 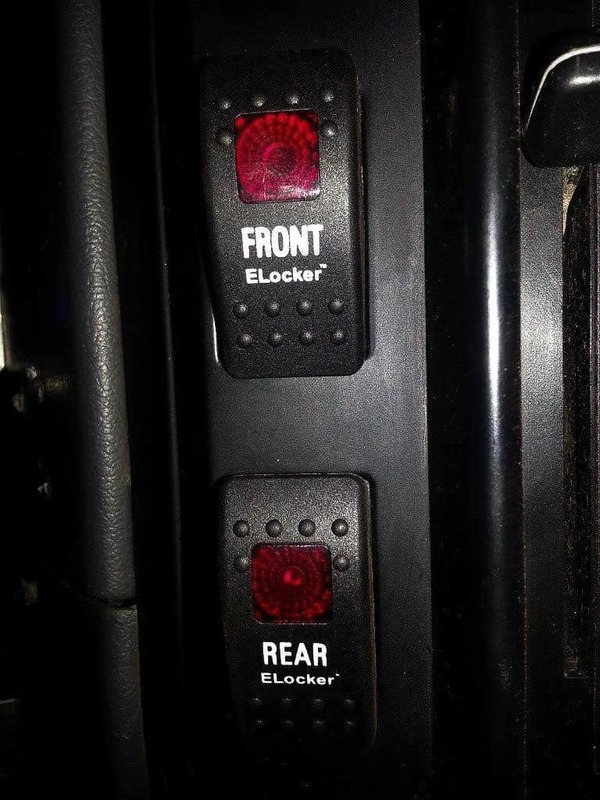 If you’ve ever had a front locker on, you know it is much harder to steer when you are off road; you don’t always want the locker to come on; its very useful to be able to turn it on and off as required. I’ve been in a couple of pretty bad situations in the 80, and have been incredibly thankful for having the twin ELockers. I know I’d have had a very difficult time getting out of them without the lockers, and so consider them a 4WD recovery device! 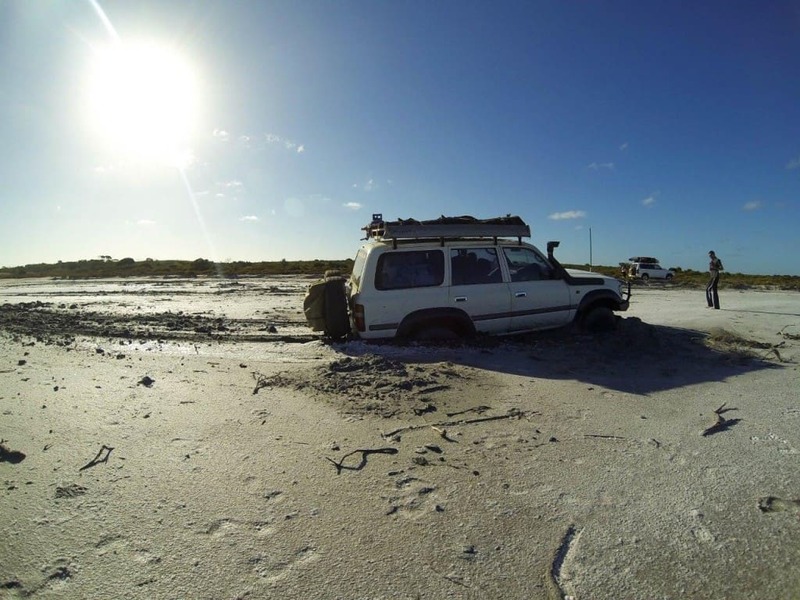 You can read (and laugh) at some of the times where things have not gone to planned on my ‘Have you been bogged in your 4WD‘ post. The ELockers make life simple; when you get to an obstacle that is going to make your 4WD struggle, flick them on and drive it. When you’re done, flick them back off again and away you go! I don’t say that the Harrop ELockers have become my favourite modification lightly. There are a lot of things that I really love about the 4WDing Australia 80 series, but the lockers have well and truly exceeded my expectations. 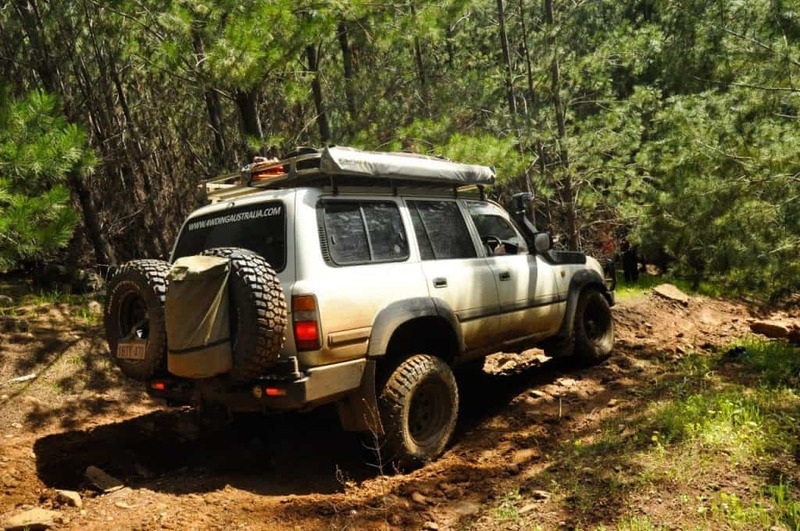 If you are looking to take your 4WD to the next level, and can relate to the above points, check them out!